The Fortnite streamer will see a specialist today. 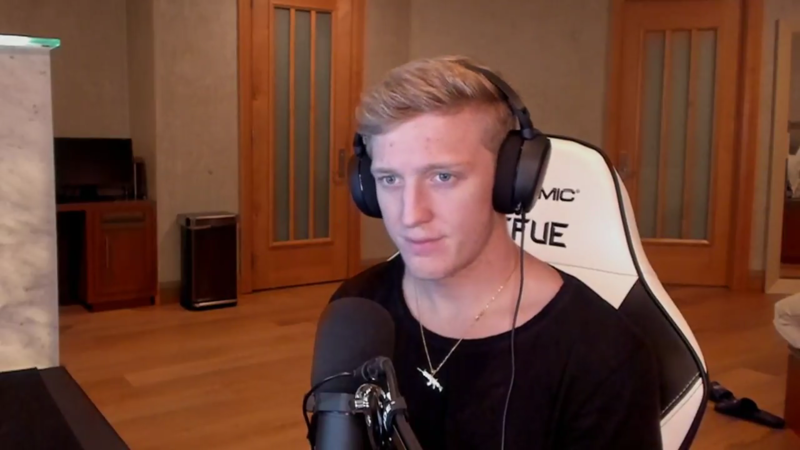 Fortnite: Battle Royale professional player and streamer Turner “Tfue” Tenney has confirmed the swelling recently found in his neck hasn’t improved with antibiotics and that he’s seeing a specialist today to check on it. “Over 48 hours on antibiotics and my neck is still swollen. I’m gonna go see a specialist tomorrow,” Tfue wrote on Twitter last night. Even so, he still streamed for about five hours. When Tfue first shared his neck problem with his viewers, he said he was also waking up with “the worst headaches ever.” Tfue thinks this problem might have something to do with his hydration while streaming Fortnite, but he’s not sure and shared no other details about what his doctors told him about his likely diagnosis after the first time he went to check on it. Tfue is likely to provide further updates about his problem later today if he sees a specialist as intended. It’s unclear how this problem may be related to his current streaming schedule and how it can affect his future Fortnite broadcasts on Twitch.